Have Healthy Food? Bring it to SCAOR this week for the Fight Against Hunger! Reminder: SentriLock Billing Begins June 1st and is due by June 30th. This afternoon workshop will provide a rare opportunity for discussion about flood preparedness, risk reduction and emergency management through floodplain management, flood insurance and community awareness. RSVP to Greg Williams at Gregory.Williams@state.de.us or call Coleen Ponden at 302-739-9921 with your attendee’s names, agenda items or to discuss any questions you have about the event. Registration is free. Merritt shares information on Bright MLS training, Sentrilock Billing, Strategic Planning, and other future dates of interest. This month, we look at an NAR benefit that you might have missed: ZipLogix’s Transaction Member Benefit. Copyright © 2018 Sussex County Association of REALTORS®, All rights reserved. It is Bright MLS transition month. By this time, you should have received an email from Bright MLS for second quarter MLS services. Members should pay $75. If you have not received an invoice, please email me at merritt@scaor.com. 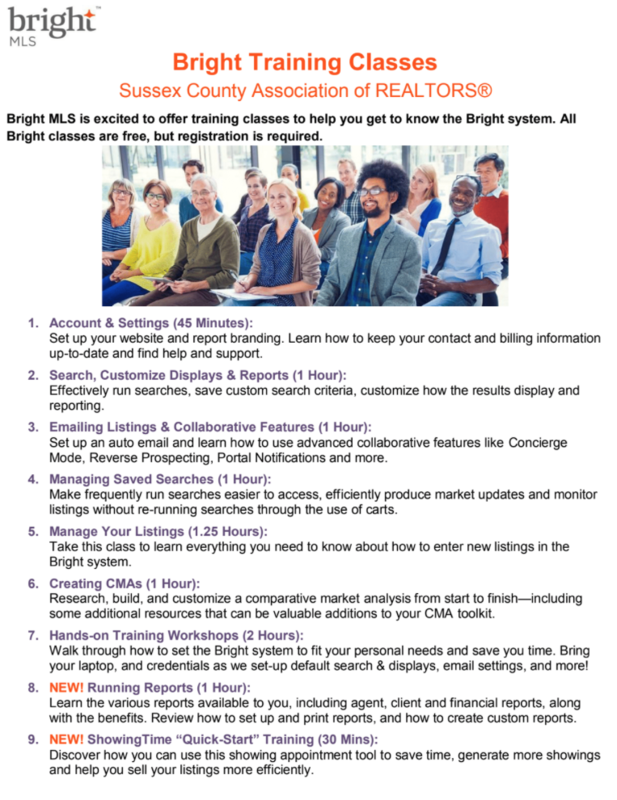 For those who attended the first Bright MLS training on May 3, I hope it was helpful. 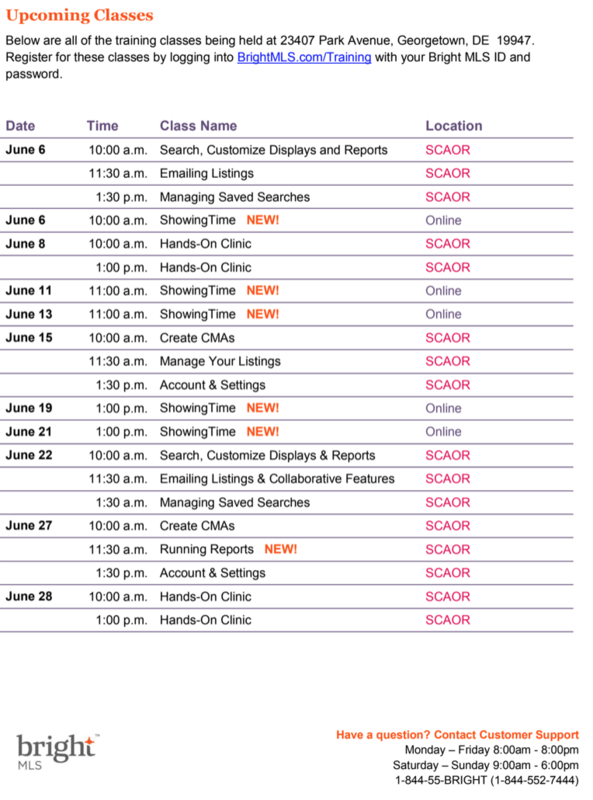 Bright MLS representatives will be at SCAOR on May 11, 21, 30 and 31 conducting a range of training workshops. The web address to log into is BrightMLS.com/Training. Hope to see you around the building sometime soon! The official Bright Preview is May 14 with the Bright Conversion date of June 4. Other news includes SentriLock billing to commence on June 1. Be on the look out for an email to log into the SCAOR portal and pay between June 1 and June 30. Late fees apply after June 30. The fee is covers members from July 1 to June 30. Home inspection, terminate inspection and appraisals now have access, if interested. Pro-Spect is the first company signing up. They should be using the lockbox program before July 4. The Strategic Planning Committee will draft a new Strategic Plan on June 13 and 14. The current Association Mission Statement is focused on education, ethics and advocacy. I see technology, government affairs, education and communications are three areas we need to improve upon. We are all looking forward to drafting a new vision for the Association from 2019-2021. 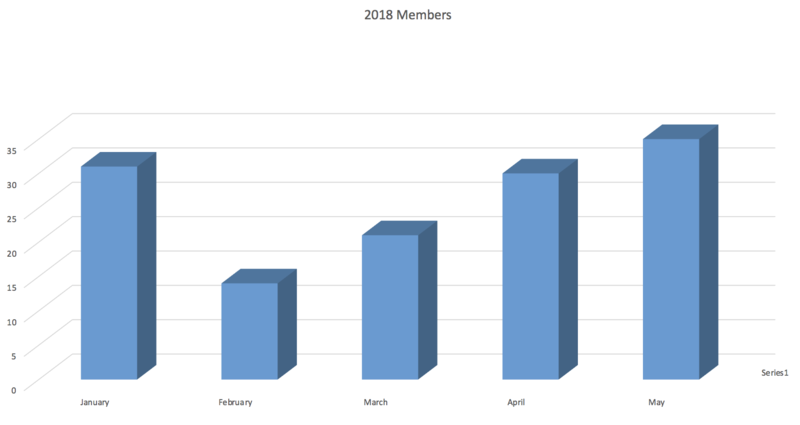 Future meetings of interest is the Finance Committee meeting on May 8, Foundation mixer on May 8, Affiliate mixer on May 9, WCR/SCAOR education and mixer on May 10, NAR Legislative meetings from May 14-19, BOD meeting on May 24 and a REALTOR Safety class on June 14. As always, thank you for allowing me to serve you as Association Executive.